A comprehensive one day course at our air conditioned training facility conveniently located just North of London. The course content is taught in accordance with the IEE Code of Practice 4th Edition and teaches delegates the theory and practical aspects of testing portable appliances safely. On completion of the course, successful candidates will be able to confidently undertake PAT Testing, record keeping and be able to carry out testing for their organisation or as a service to others. 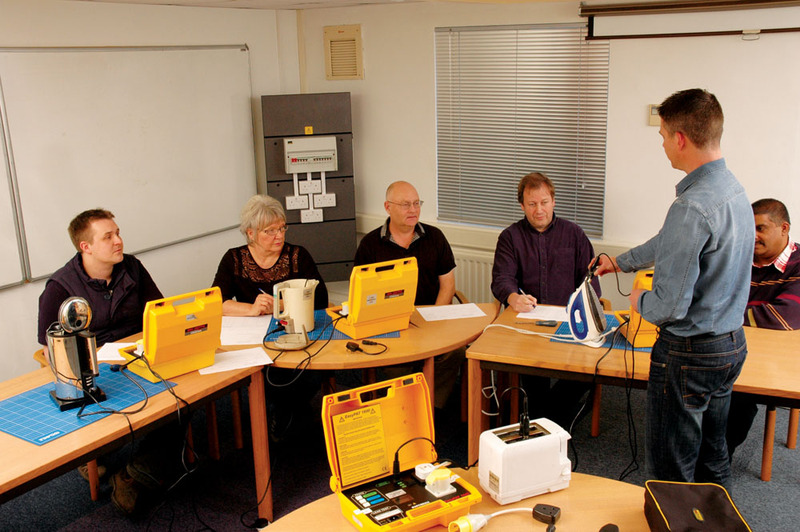 As part of the course, all attendees receive a copy of Portable Appliance Testing; An Illustrated Guide. . In the afternoon there is a practical session, carried out under supervision of the trainer, where you will PAT test various appliances. Refreshments are provided throughout the day as well as a buffet lunch. Courses start at 9.30am and finishes at approx 4.00pm. Martindale can also offer on-site training for delegates anywhere in the UK. Please call 01923 441717 for more information and to book a place, or fill in the form below.